I ran across Regina Brett’s (new to her, but she has many advice books) God is Always Hiring: 50 Lessons for Finding Fulfilling Work back in April. At the time, I was hunting the bookstore for Toni Morrison’s front-of-store latest, God Help the Child. I was also trying to distract myself from the troubling thoughts of my wrecked car parked in my driveway. As well as distract myself from a 9-5 that just wouldn’t let up. And it’s the 9-5 job situation I speak of which drew me to God is Always Hiring. No, seriously, I considered it a sign from God when the book's bright yellow color captured my attention. I circled the new release tower and–POW–there it was. One to wage my coins on impulse buys; in that instance I grabbed the book (along with Morrison) and headed to the checkout without question. As far as I was concerned, God really was trying to tell me something. This time I would listen. But to be extensively honest, I thought God is Always Hiring came with job-related stories I could identify with. Particularly from the first-hand experiences of individuals who’ve found themselves frustrated by their jobs as well. And what they did about it. Think: Chicken Soup for the Soul, motivating struggle, adaptable tools, and eventual triumphs. Even so, while the book contained tidbits of story essays from various individuals and their 9-5 challenges, it was mainly 50 lessons from the author's experiences. Valid lessons, no doubt. Only I have no idea what it’s like to have a resume as broad and bright as hers. Or one crammed with growth opportunities in a field closer to my own desires themselves. I would even stretch to say I would trade my current job for some of her previous experience. Personally, working as a columnist is far more rewarding and field engaging than a gas station attendant. Trust me. I know this. Still, I suppose the feelings of finding yourself unfilled are relative yet all the same. (I would probably only go so far as a columnist before my entrepreneurial spirit starts grumbling back up.) Which is why I want to share a few of my favorite lines/lessons/advice provided in the book. These are the moments that truly resonated within my personal situation. The lessons I did identity with and heard God "calling." In turn, if you haven’t read the book, I hope they resonate with you as well so you can go buy God is Always Hiring. And get hit with the inspiration to make those changes in your life that you know you must seek out. "It took me many jobs to realize I wanted something more than a job. A job is where you work so you can pay the bills. A job is a place where you're penalized if you're five minutes late even if you stopped to help a stranded motorist. A job is a place where you call sick so you have time to look for a better job. It might be stable and safe, but it's boring. You do what's expected and you go home. You call in sick every time you rack up enough sick pay because you're sick of the place." "No hoarding [she speaks of your gifts and talents]. You have to use up all you have learned, uncovered, and discovered, or you don't get more. 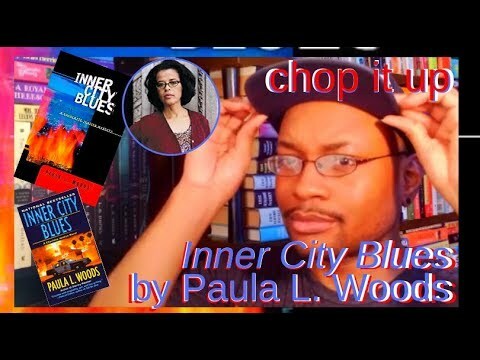 My writing had to have life beyond my bedroom. But who would want to read it? Who would publish it? Who would buy it? That was all none of my business. It was time to take action. In prayer I might have been saying yes to God, but a yes without action isn't truly as yes." "I had to do what was in my heart, and they didn't know what that was. No one else really knows what's in our hearts but us. No one knows how loud your own heart sings or pines or aches to do what it alone loves." What does your heart pine for? Leave a comment below. "Someone once told me, 'If you don't want to do it, you'll find an excuse. If you want to do it, you'll find a way.' It really is that simple." Do you tell yourself excuses? I know I do. All the time. One of my biggest excuses comes in the form of not promoting all of my work. What excuse have you been telling yourself that's holding you back? "If you want to win the lottery, buy a ticket. If you want potatoes, you can pray all you want, but you'd better grab a hoe. You can have faith in God, but you have to back it up with action, even the smallest bit of action. You have to do what you can do." I tell people this all the time–including myself. Do something. Anything! Just. Do. Something! Everyday. Do something that propels you toward your dreams/goal/desires. No matter how small. You have got to put action behind your dreams. "When I stop trying to be someone else and settle for being me, great things come to pass for me and for others. I love this quote: 'In a world where you can be anything, be you.'" "Whenever you are in the spotlight, shine bright. That doesn't mean just focusing on you, but rather focusing on how others are better off having heard or meet you." I sometimes wonder if this is where my good attitude at my 9-5 comes into effect. I have people come up to my job just to see me. And I always give them a show. "Was it okay to tell God what I wanted? Should I seek my heart's desire or God's will? Then I remembered what Beth told me: God's will is your heart's purest desire. They are one in the same." Just taking on this passage outside of the context of the book, it's amazing how we're always judging and criticizing one another instead of respecting who we are as individuals and people. Individuals and people designed to all fulfill God's desire through the face of our own. "Then the Lord answered me and said: Write down the vision clearly upon the tablets, so that one can read it readily. For the vision still has its time, presses on to fulfillment, and will not disappoint. If it delays, wait for it, it will surely come, it will not be late." Brett quotes scripture here. And I can agree. You never know what tomorrow can bring. Keep that faith and keep going. One video. One blog post. One Tweet could change everything. And it'll always be right on time. "There's room for all of us in our own particular spot. My divine assignment has my name on it, no one else's. So does yours. When you live the life you alone were created to live, there is no competition. There's enough for everyone and no reason to struggle." And thus endeth the lesson. 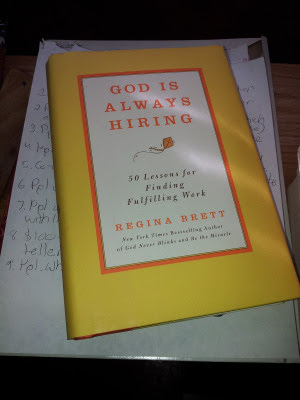 Be sure to purchase your copy of Regina Brett's God is Always Hiring for more of these pieces of words of wisdom. Very inspirational and motivating book.